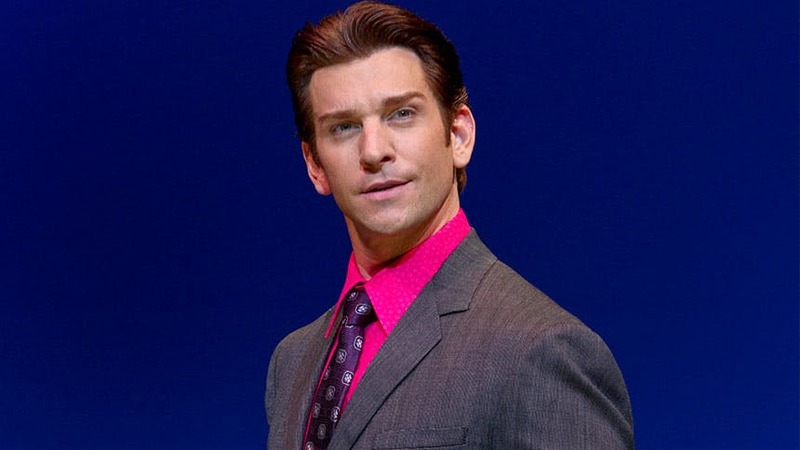 Andy Karl is on the fast track to becoming Broadway’s hottest leading man. After memorable featured roles in The Mystery of Edwin Drood, Legally Blonde and Wicked, Karl is juggling starring roles in two of Broadway’s most exciting musicals; this fall, the Maryland native starred as the Four Seasons’ resident bad boy Tommy DeVito in Tony-winning Jersey Boys, and in the spring, he steps in the ring as Rocky Balboa in the stage adaptation of the boxing classic Rocky. BroadwayBox recently caught up with Karl to ask him our five most burning questions. 1. Your character, Tommy DeVito, is the badass of Jersey Boys. What’s the most badass thing about you, Andy Karl? I’m married to a badass wife, Orfeh, and that’s great because she leads me to do badass things, like having a lot of confidence in myself; I stand on her shoulders as far as that’s concerned. That doesn’t sound so badass but it really is. Getting in front of thousands of people every night is pretty badass too. I also jet ski every now and again, and I write rock tunes. 2. Saturday Night Fever must be a crazy good memory—your Broadway debut and meeting your “badass” wife Orfeh. What did you do to woo her back then? She’s one of those girls that the simplest things make her surprised. Our first date was to go to a movie, and I went and bought the tickets ahead of time, and she couldn’t stop talking about it for weeks. I’m like because I bought the tickets ahead of time that’s what’s really getting you off? [Laughs.] I get her flowers but they don’t do it for her. It’s the real simple things you do as friends. I had to play it cool though. She is the coolest person I know so I had to play it cool, and it’s hard for me ‘cause I’m kind of a nerd at heart. 3. How are you getting fly like Sly for the shirtless scenes in the ring? What are you doing to get in fighting shape for Rocky? I knew it was going to be a regiment, so I’m spending at least a minimum of three days a week with a trainer and then doing stuff on my own on the off days. I’m finding out a lot about what I can stand, especially at this level. There are a lot of weights, exercise [and] core training to get that boxer look. I wanted to get to an actual heavyweight fighter’s minimum weight—which is 190—so I had to put on 12 pounds, which I did over the past couple months. No one asked me to get to heavyweight status but it’s bringing me closer to the character. At least what a boxer feels like in that essence and the time they need to spend working out in the gym. It’s really an interesting path to go down for a character—changing the physical but with that comes the mental capacity of dealing with the pain, and “am I getting there?” and the patience to get there. It’s a lot of work thus far and I still have a lot to go. 4. You also recently participated in the musical The Protagonists playing a Flash-like superhero named Voltman. What superpower would you want in real-life? I would really like to become invisible to see secret things, like what really goes on at the round tables of the government. And to fly would be awesome. Every boy wants to fly. 5. You’re living the dream right now, but did you ever have a moment where you thought this wasn’t going to happen for you? That you wouldn’t be a big leading man on Broadway? Absolutely! I never pictured myself...I always wanted to work, so it was more about figuring out what I wanted to do and how I fit in, especially with Broadway shows. There’s a lot of things like what kind of character work you can do and what you can’t do. It was one of those things where Rocky is just a good fit for me.